On this gloomy rain soaked day I joined my delightful knitting friend Devin aka Knitty McPurly on a well needed day out. Before class we stopped in for tacos at Rock It Grill then we dashed and splashed our way over to FibreSpace for our class. 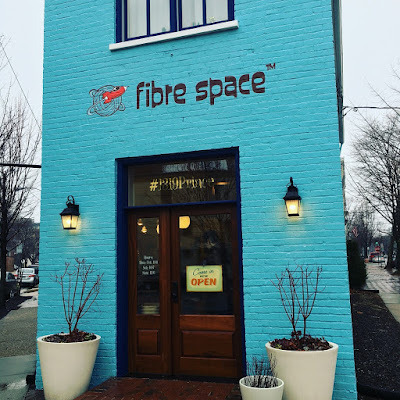 We took Susan B. Anderson's Three French Hens class at FibreSpace. 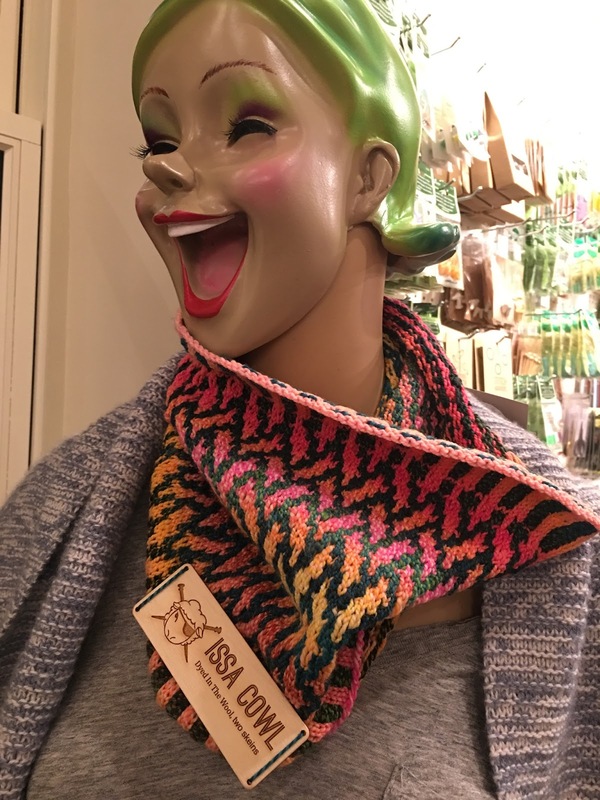 I’m a kid at heart so a designer like Susan is a great treat. 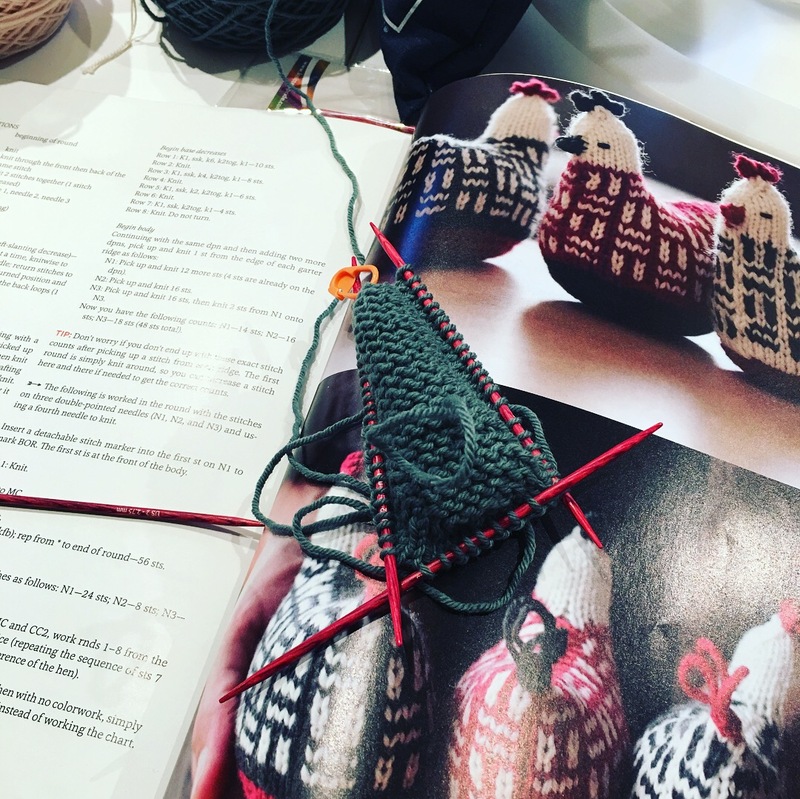 Find the fun in your craft and make lovely little toys that will always brighten someone’s day. What can be better? If you ever have an opportunity to take a class from Susan B Anderson I highly recommend you do so. You won’t believe how much you will learn and have a great time too. Knitted toys are such a joy to make. These hens are so adorable. 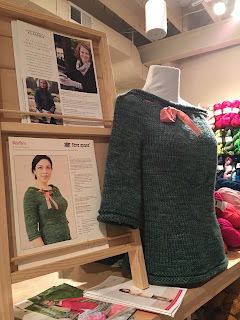 It is a great introduction in to color work knitting. 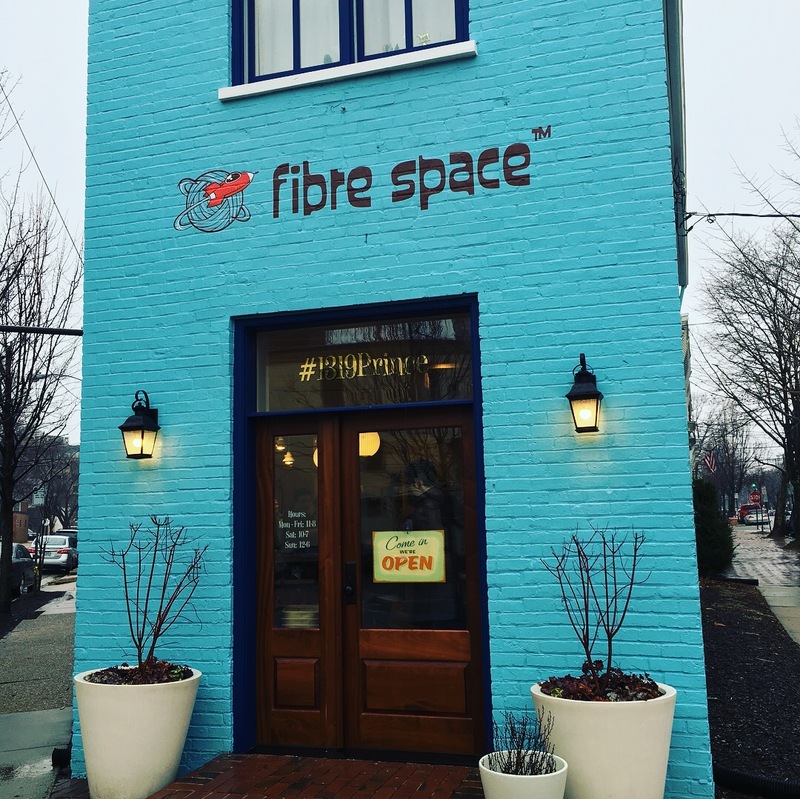 If you happen to be in Alexandria, Virginia FibreSpace is a must visit yarn store. 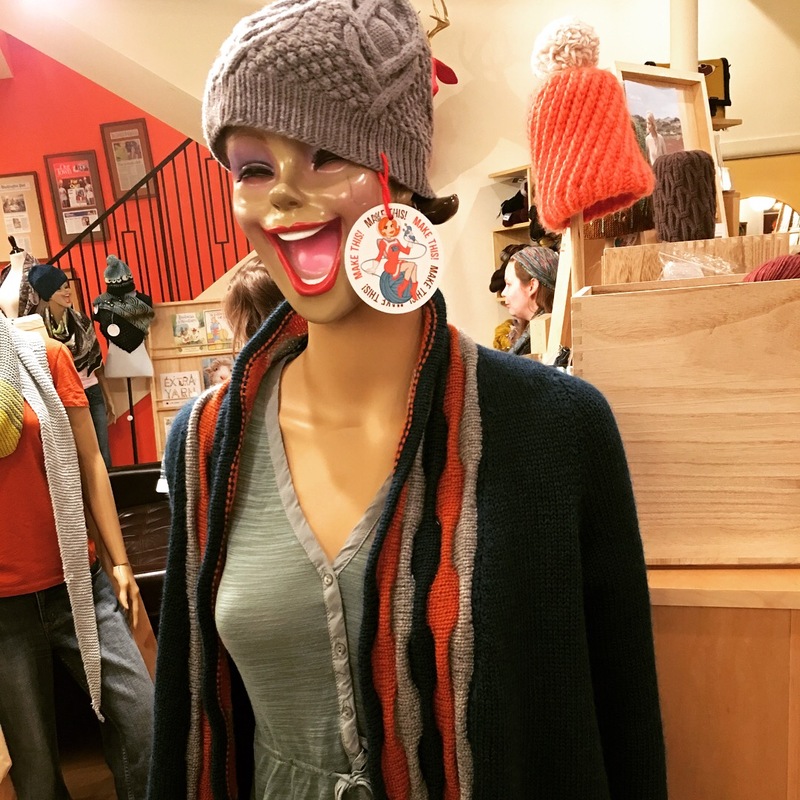 They have so many fantastic yarns and notions. I have been wanting to take classes here for years. I was so glad to finally have the time and a great friend to get me here! All the pretty things! 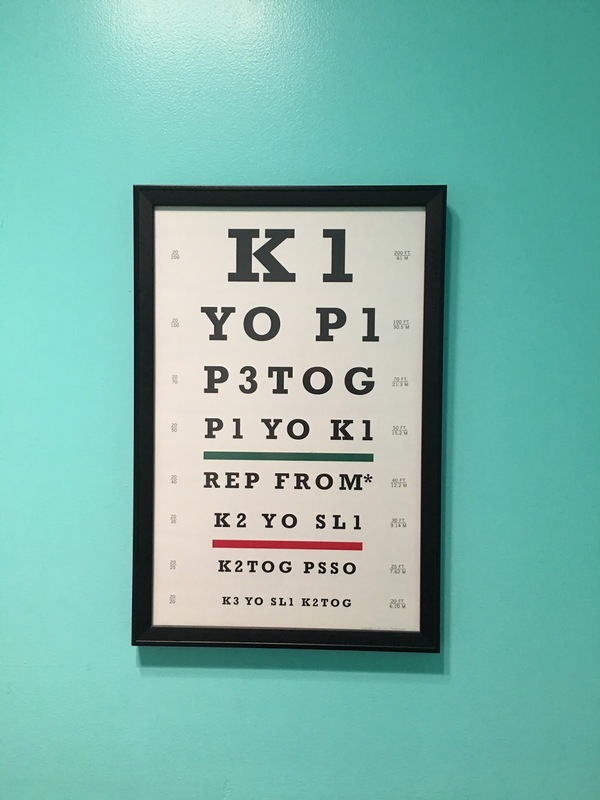 You even need to check out the bathroom. 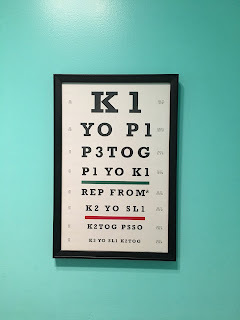 I love the knitting eye chart I found in there! Isn't it wonderful?